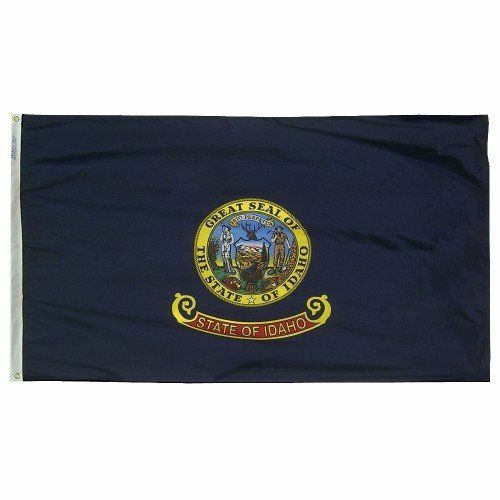 AmericanFlags.com is proud to carry Idaho State Flags in a variety of materials, and styles, in sizes ranging from 4 IN X 6 IN to 12 FT X 18 FT. All of our Idaho flags meet official specifications, are on sale right now and are ready for immediate shipping to your door. 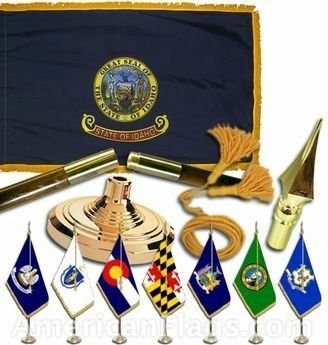 A field of deep blue surrounded by a gold band serves as the background of the Idaho State flag. 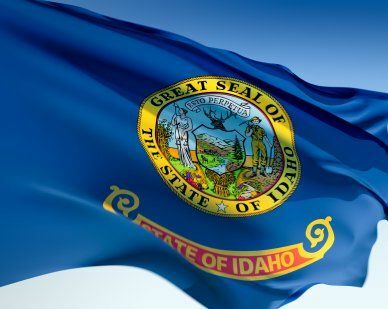 At the flag's center, the state seal is featured with "State of Idaho" inscribed in a red and gold banner underneath. The state seal was designed by Emma Edwards Green and depicts a male miner and a female carrying the scales of justice, symbolizing liberty and justice. The motto "Esto Perpetua" which translates to "May It Endure Forever," is also shown. 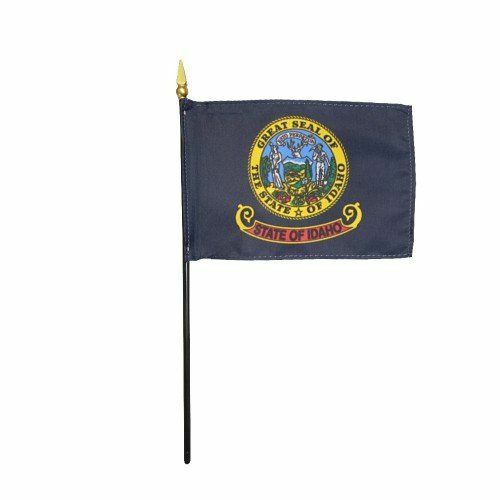 The state flag of Idaho was adopted in 1907.